All Hallows’ Eve is a night when strange things happen. Maybe it’s the costumes, maybe it’s the sugar rush from all the candy or maybe it’s just the awakening of the supernatural. Whatever energy is at work on Halloween, there’s a frightening amount of fun to be had in New Mexico. It just wouldn’t be Halloween without a big bowl of candy by the front door for all of the trick-or-treaters out ringing doorbells. Can’t decide what to hand out? If you’re looking for a little nostalgia, a trip to this candy store is in order. Pick up some Abba Zabbas, Big Hunks, Charleston Chews, Mallo Cups, Razzles, Zotz and those yummy, chalky Necco Wafers. There’s also a delicious selection of fudge … more for the hardworking candy distributors. The horror masters behind this haunted house spend the entire month of October getting it ready. It’s a “creep style” experience which basically means you will be frightened out of your wits. There’s no screaming or touching. Volunteer actors dress up in costumes, creepy ones, of course. It’s dark inside. There’s something scary around every turn and behind every door and when you least expect it. Don’t miss the Coffin Comfort moment. The master of the horror story, Stephen King, created a character that is nightmare inducing—Pennywise the Clown. He’ll be making an appearance at the Ultimate Halloween Party here. What a show it will be. Lights, lasers, and sound all designed to creep you out on the year’s scariest night. You have to come in costume to get in, plus it gives you a chance at the $2,000 prize for the best costume of the night. Great food and signature cocktails throughout the evening, plus special VIP packages available. Must be 21 or older for admittance. Met my favorite magician/comedian Puff the Magic Dragon and his little dog Mr Piffles! This chain is the go-to place for costumes. Their inventory is enormous for babies, kids and adults. Just about whatever your child (or you as an adult) can dream up is possible here. Traditional Halloween costumes like witches, ghosts, ghouls and goblins are tucked between the current favorites of superheroes, fantasy and popular TV characters. You’ll also find a wide-ranging selection of costume accessories and Halloween decor. Simple metal crosses mark the graves of about 400 coal miners who died in two different mine explosions here in the early 1900s. Some of those killed in the second explosion were relatives of the earlier victims. After the first disaster, townspeople felt the cemetery was haunted—they heard wails and moans at night emanating from there and some even reported seeing ethereal forms wandering about. Today, some visitors report whispering voices warning of danger, deep mournful moans and human-shaped forms that dissipate into the night air. Open to the public … if you dare! A heightened interest in the paranormal kicks in this time of year and nothing’s more thrilling than a good ghost story. The city is full of them. Most of these apparitions hang out around the Historic District … they’re pretty old. Many of the sightings are in older buildings like the Mabel Dodge Luhan House. There are multiple spirits here: Mabel and Tony are spotted periodically, as well as a young girl named Manuelita. Other spots include the Historic Taos Inn, Hacienda del Sol, the Alley Cantina and some even see La Llorona, the Weeping Woman in search of her dead children, hovering around the Taos River … hang on to your little ones. The walking dead will be out in full force at this free event that takes place in the plaza. All you need is a costume to be a part of this celebration of soulless corpses. There’s live music, dance performances, food trucks and vendors selling all manner of zombie necessities. Time to start practicing your best zombie weaving, lurching, and shambling for the parade through town. A free event. 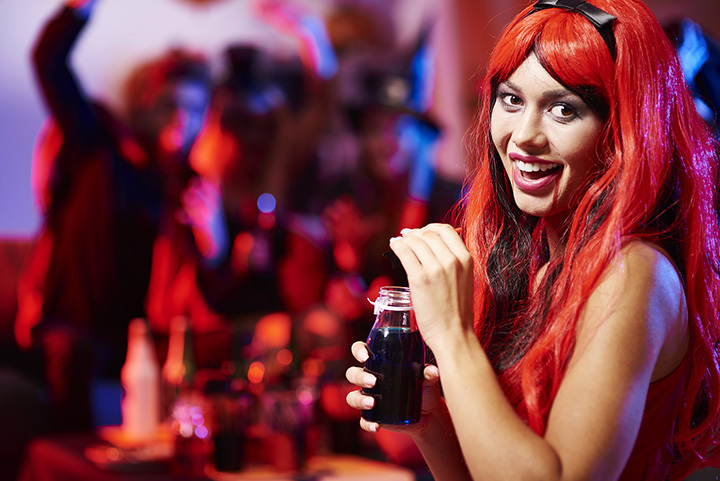 Do the mash, the Monster Mash, at this spooktacular family-friendly Halloween party. The festivities take place in the historic downtown section. Carnival games, dancing, live music, pumpkin bowling and costume contest. Put on by the Parks, Recreation & Cultural Affairs department, this event is all about having fun. Downtown business and vendors keep trick-or-treaters smiling by handing out candy. It’s free to participate. Take the kids to the zoo for a day of safe and fun alternative activities that celebrate the fun of Halloween. There are games, entertainment, live performances and haunted habitats to explore. Come in costume and join the parade for a chance to win prizes for the best costumes. There’s trick-or-treating, too. Local businesses and civic organizations will be handing out sweet treats throughout the zoo … not to the animals, of course! Special admission prices for children with adults. If you haven’t seen this iconic musical comedy horror film from the 1970s, there’s no better time than the Halloween season to see it. It’s interactive fun … you can dress in costume, bring your own props and shout out taunts and comments during the movie. It’s the city’s annual Halloween event at the Western Heritage Museum. Adults only—no one under 18 admitted. No alcohol. Free admission. Don’t miss this moment to share in Brad and Janet’s strange and outlandish story.